Following my previous post about reading diversely, as well as the recent #diversebookbloggers hashtag that was started by Naz at Read Diverse Books, I decided to compile a diverse poetry list. I don’t do many poetry book reviews but I do love poetry. Here is a list of 30 diverse poetry collections that I love. In lieu of book reviews, which I rarely do for poetry collections, I’ve attached excerpts to each title. Enjoy! Do not die out, fire. somehow there must be some. My memory is like a pomegranate. that asks nothing of me except forgetfulness? I stuff the French language with loukoum, I teach it to do the belly dance. Honestly, I have no regrets. the light we generate makes night, day. How many thousands of years have you been there? Why sometimes slender, why sometimes full? and seldom blush before the sun? Weary, past midnight, who are you searching for? for you to feel the warmth of your grandmother’s touch. to know that even in loss there is living transformation. for us to live, reconnected, and your stories, this poem to have many beginnings. like the planet, but I think more. I mean, there are tears inside me I’ll never weep. Cannot be transfused into word or mien. By any skill or thought or trick for seeing. in a space of time. And I cried. For myself. For this woman talkin’ about love. For all the women who have ever stretched their bodies out anticipating civilizations and finding ruins. I’m on a Hong Kingston binge at the moment after having read (and adored) China Men. I always like reading writers who work in different genres. China Men is a book of prose and this one focuses on poetry. It was lovely and a sensitive look, a guide if you will, at how to find poetry in one’s own life. Clearly illustrated by examples from her own life as she approached her 60th birthday helps us see how she found poetry in her life. Examples from travel, culture, and autobiography. 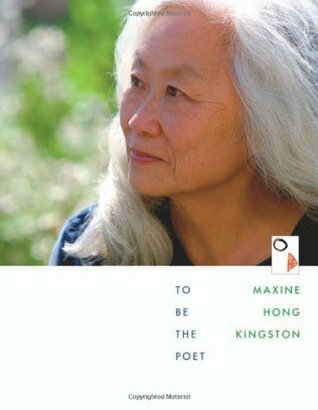 Although I’m not planning on writing any poetry I enjoyed Hong Kingston’s thought process on how she found poetry. She included some of her own poetry too and I think it was a reminder of trying, even if your attempts fail; it’s all about using one’s creativity. Lots of useful lessons by a very sensitive writer. You know a writer is great when he makes you want to learn a new language to understand his work in the original. The Book of Disquiet is easily the best book I’ve read this year, and possibly the one I’ve copied the most quotes from. I’d only ever read Pessoa’s poetry and I had no idea what to expect from his prose. It turns out he does poetry and prose equally well. I would love to have a conversation with Pessoa, although I would probably bug him as he desires solitude. But having a deep, philosophical conversation with him would be almost heavenly. I like how he thinks. I like how he delves into the complexity of humans: “Each of us is various, many people, a prolixity of selves.” So is that the reasons for his alter-egos? 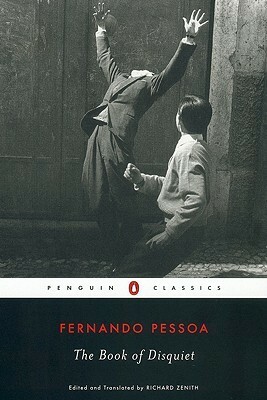 I feel that this is the sort of book that people will either think is brilliant or will think Pessoa is too sentimental. It’s autobiographical snippets of his writing and I have to say that I rarely come across a writer who thinks so deeply and obsessively about certain things. Pessoa’s favourite topics seem to be dreams, solitude, writing, the futility of life (was he an existentialist? He reminds me a bit of Meursault). I may share his melancholy but I don’t share his negative outlook, his depression and his misanthropic nature! Even so, this was a brilliant book and one I’m so glad I finally read. The feelings I got from reading this one! I did feel lonely, I felt the grief that he felt, I had to shake myself and remember that’s not how I felt at all! His writing really consumed me at several points. Sometimes I felt that we were the same person, the way he explained some abstract idea. Reading about his alter egos was pretty cool as I’d encountered them in his poetry. I guess a man who said he didn’t have any friends would do well with creating some.If this book is as autobiographical as I think it is, I can’t even imagine how he lived with himself; it must have been extremely intense. Must buy a copy, must re-read! My little cousin, Chiku, was born here in Vancouver on this day 14 years ago. I’ve watched her grow up and I’m so proud of her in many ways. While I was at her house yesterday evening she shared a spoken word she had written and performed for Black History Month. Since then she has been chosen to represent her school in a spoken word competition, and she has been asked to perform her poem several times in the past few weeks. I was honestly speechless when I read it. She was gracious enough to allow me to post it here (as long as I credit her!). I applaud her for being ready to share her thoughts and experiences with her classmates. You don’t decide how I act. I was white-washed so I had myself blacked. I’m Shaniqua, you said I was ghetto, and it was loud like a cello and it rang with an echo. My mother and my father they gave me this colour. That’s what makes me black. When you said I was white I was taken aback. If I were to talk intelligently and properly like this, that wouldn’t make me less of what I am. The black girl with big hair, that hit me with a bam. You’ve missed out on my inside, the part I have to hide. My facial features don’t have to be a certain way, my personality doesn’t have to be a certain way. I’m not a typical black person, what does that mean? I have a kind of music and it’s not very clean. Did you know I have to be into black stuff? Did you know light and dark together are rough? Am I not black enough? Sometimes I’m too black and it gets rough. Yes, I read. Yes, I stay out of trouble. Yes, I like the same things you do, so am I not black? We don’t get the privilege, the privilege we want so bad. If I’m a thug, you’re just crazy. If I die, I’m another statistic, but if you, you’re an icon and celebrity. If I’m an addict, nobody will care for me and I’ll live up to my stereotypes, but if you’re an addict, you have hope and can become an amazing inspiration. I can see you, I can feel you, those eyes through my soul. Learning about my history, the back of my neck a hole. I give no reaction, just this feeling of awkward. Look away, look away, you might just be a stalker. My history, my Africa, taught to me by myself. We learn about Europe while we sit on a shelf. My continent unknown, they sit on a throne. Full of history, cultures, languages, and different people but we’ve been blended into one. I’ve jumped a thousand cliffs just to get you to listen but look at this division. They say get over the slavery, forget their bravery? That word, the word written all over my skin. N.I.G., when will we win? You say it with a grin, you say it with a sin. The rappers they say it, they make it okay. But in the end, I’m the prey. I’ll get over the slavery when you get over the war. Go away, go away, your words are a chore. I have no choice but to forgive. Because I’m a minority, I don’t get to live. Pat, pat, pat, the hands on my head. I have to be easy going, I won’t snap like lead. Let me pet your hair, as though I’m your dog. Dead cells, different texture, it’s not a pleasure. Where are you from? Born and raised British Columbian and not in a slum. Where are you really from? Born and raised British Columbian and not in a slum. Your parents? From Malawi where it was nice and pleasant. So you’re African-American? No. I’m just a citizen of Canada. My ancestors never came to North America. They were never taken for slaves. I’m from the South, not the West, not the West from over the waves. An African-American will never know their roots from Africa because their ancestors were forced to America. Do you speak African? There are 2000 languages and more in Africa. We aren’t one big blur for you to decipher. I’m black. I’m not warm earth, an indirect way of calling me dirt behind my back. I’m not a cappuccino, I’m not a one colour fits all. I’m not caramel, I don’t have a natural tan that stays through and after the fall. Makeup makes me into dirt and food and if you ask me, that’s a little bit rude. This skin isn’t tanned, what makes you think that your skin is the right colour to be in this land. It’s annoying, it’s hard, apparently I look charred. I love myself anyway. My big “horrible” hair, I love it anyway. Being compared and being stared at, I love my skin anyway. Being mistaken and being held unknown, I love my ethnicity anyway. Being treated differently because of my skin, I love you anyway. Having to be a certain way, I still hate society for that. The kid in kindergarten wanted my ‘skin colour’ crayon, I gave him a brown crayon, he was a brat. Happy Black History Month. When I was a child we used to sing this song: “Sticks and stones may break my bones, but names (words) will never hurt me.” Even as a child, I wasn’t fully convinced that this was true. Now, as an adult, I know it’s not true. Words DO hurt, words DO have power. It’s an all too-common story. You have an idea and think it’s a great one. You share it with the wrong people and they disapprove and criticize you making you feel dejected. I’ve come to be more private about sharing my own dreams. The vulnerability of sharing one’s dream is something I think naysayers don’t often consider. I believe when we have a dream it is only natural to want to share it. It’s a bit hard at times to guess how people will take it. I may not understand someone else’s ideas, after all, they’re not me. But still, why not encourage them? I love hearing people’s visions for the future. In a world where it looks like there are less and less dreamers, it’s refreshing to encounter enthusiastic and ambitious people. Dreams are often not easy to follow through with, so the last thing we need is to surround ourselves with negative people who will make it even more stressful for us. We can see the impact of human ingenuity all around us. Looking at all that we’ve accomplished, especially in the last century, should be more than enough inspiration for us all. I look to the literary world and I find so many people who went against the odds. Chinua Achebe, one of my all-time favourites, was told by the European publishers (the only ones available to him at the time) that his type of literature wasn’t marketable. They laughed in his face. Who would ever be interested in reading African literature anyway? Well, I think we have the answer to that; over 15 million copies of Things Fall Apart have been sold globally. I hate sounding like a self-help manual but I have encountered so many people in the past few weeks who felt down because someone shot down their dream. All they needed was one person to tell them that they believed in them. I get the feeling that some naysayers are either bored, unimaginative or, dare I say it, jealous? In the past week I met someone who wanted to be a MMA fighter. I don’t like that sport but good for him! Why can’t he do it?It’s obviously something that makes him happy. Even if he doesn’t achieve that dream it may just be the first step that will lead him on the path to an even larger dream. I feel like I’m exhorting myself. It took me a long time to get over my naysayers. At first I felt like they knew something that I didn’t, now I realize that it was they that were missing something; they weren’t me therefore didn’t know my heart and my determination (although I would say that doesn’t mean that they were at liberty to shoot me down). Us humans would probably get a lot more done if we had positive cheerleaders surrounding us instead of naysayers. At the same time, welcoming critique isn’t a bad thing but it’s always easy to see who is trying to help and who just wants to be negative.